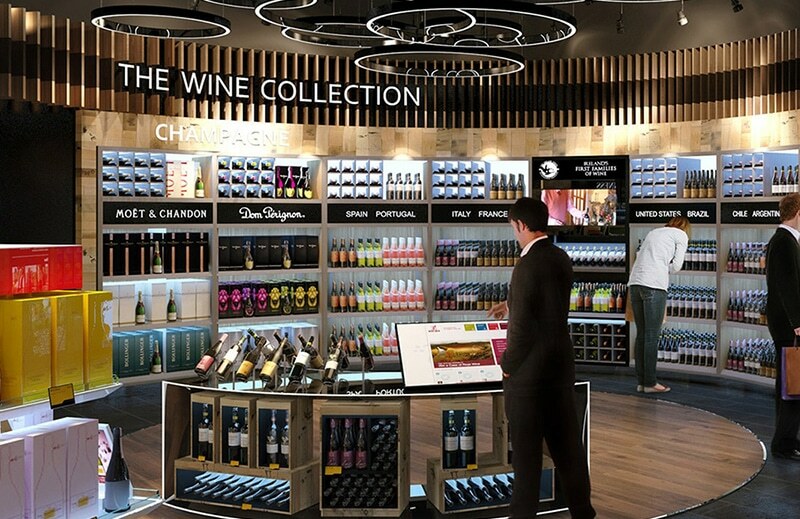 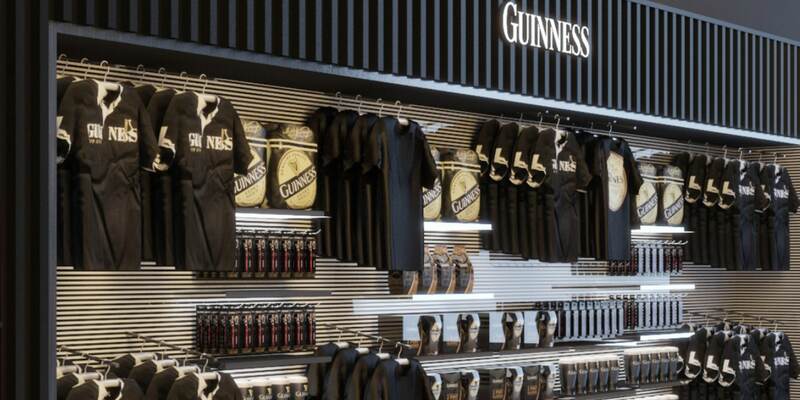 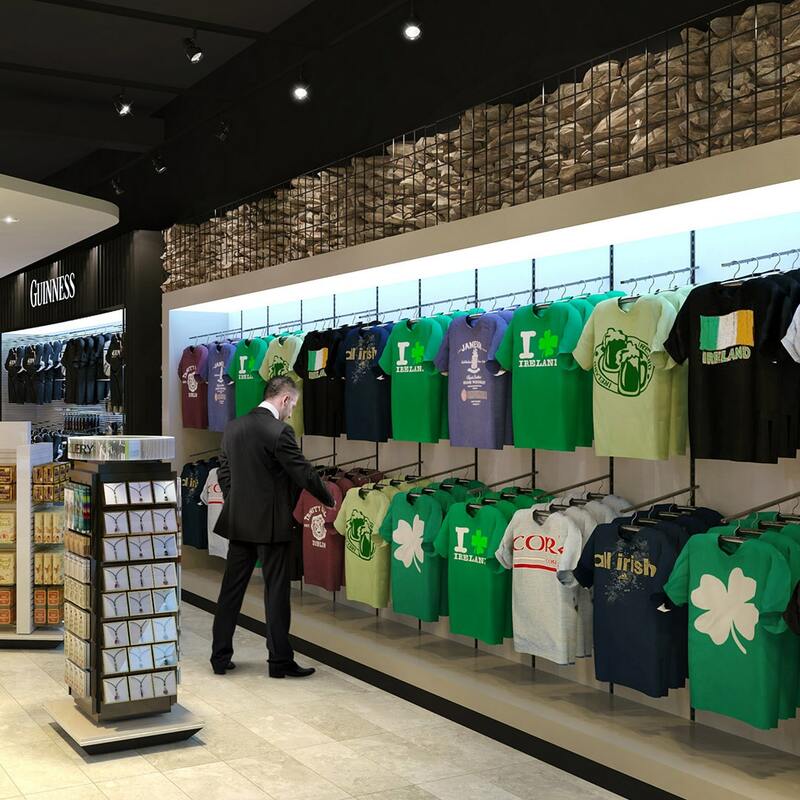 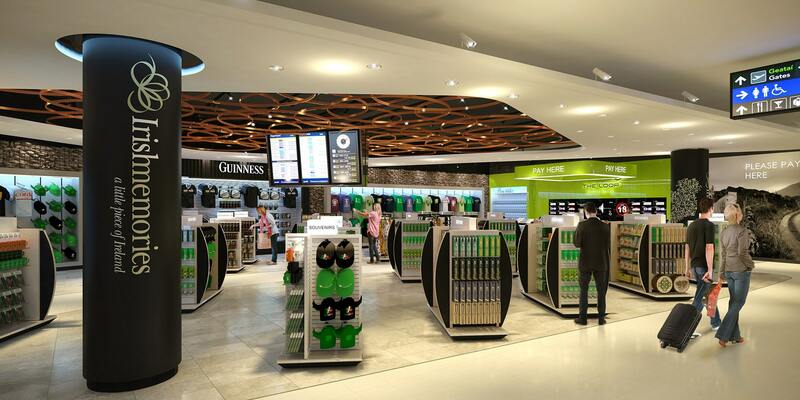 Exclusive to The Loop at Dublin Airport, Irish Memories presents a radically innovative and energetic new interpretation of the traditional souvenir store, with all products 100% Irish-designed and sourced from Irish companies. 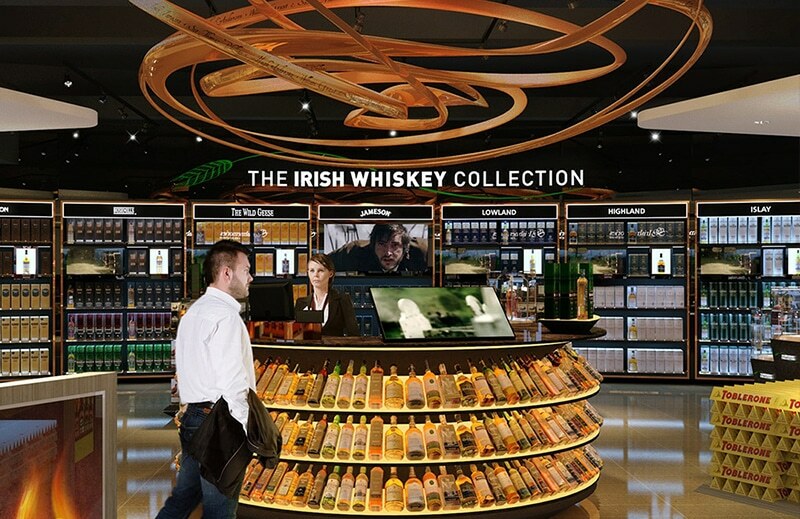 Supporting an attention-grabbing portfolio of local products the store design includes striking use of local materials, including traditional Irish stone and featuring a stunning copper sculpture in the ceiling – creating an authentic sense of Celtic Ireland. 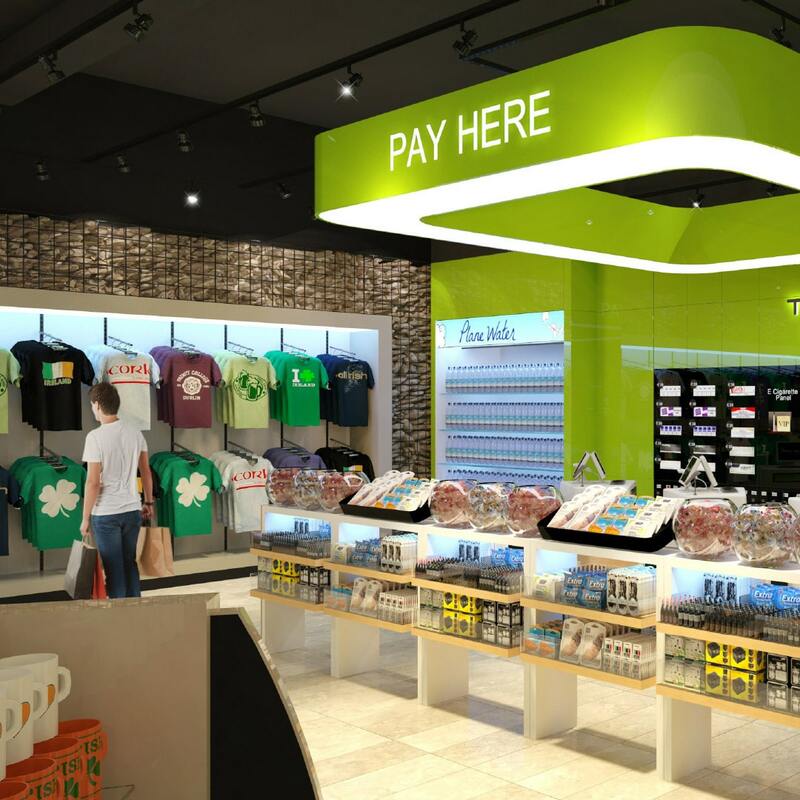 In celebrating key elements of the Emerald Isle’s heritage and culture the Irish Memories concept integrates aspects of vibrant, modern Ireland and shares the country’s irrepressible sense of fun. 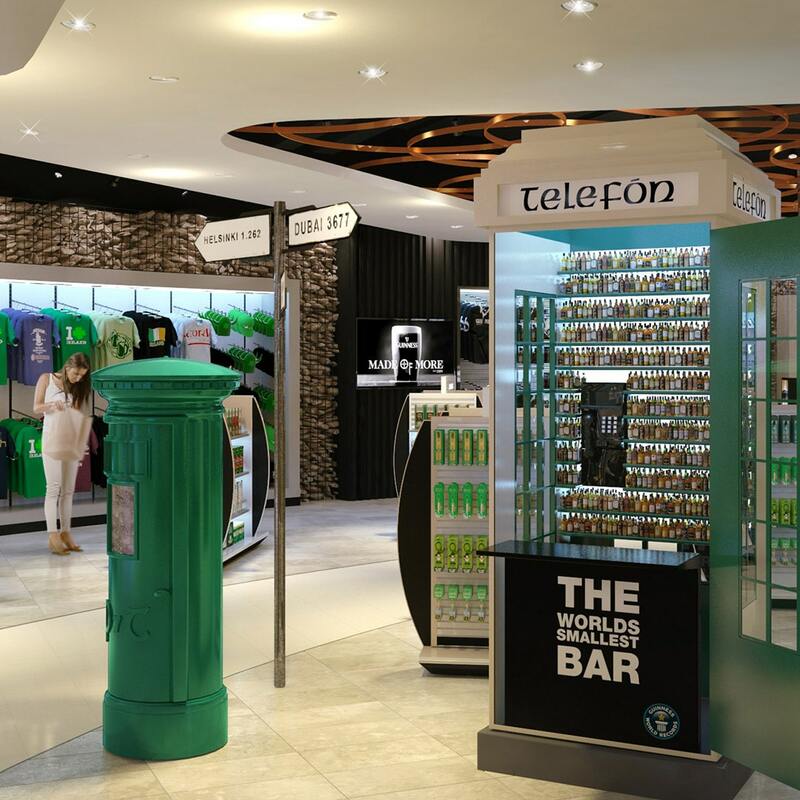 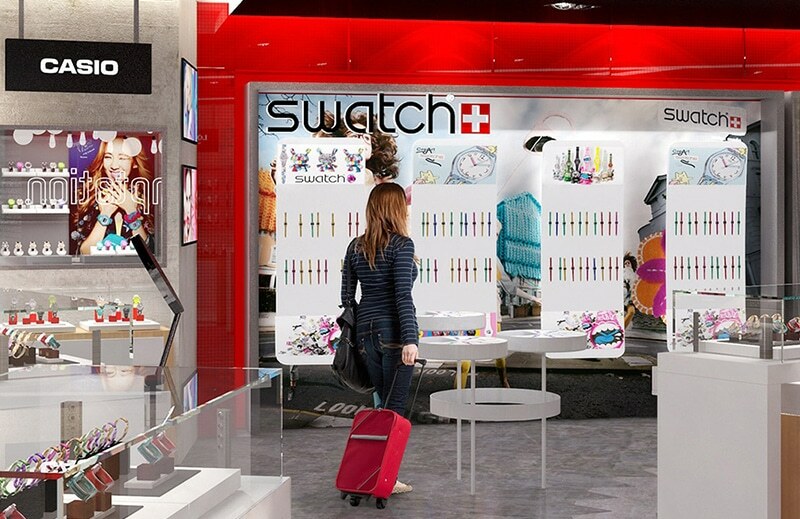 The strong emphasis on in-store theatre incorporates the contemporised use of iconic Irish street furniture, including an old-fashioned phone box – perfect for selfies – and a fully restored, working, traditional post box for travellers to send postcards home.